I am a concerned Canadian who sees the current ISIL Iraq Syria strategy as flawed as do you. Mr. Dewar you were there, you know who is fighting on the ground and who is not. It is the democratic, progressive Kurds who have overcome forty years of sectarianism to come together to fight ISIL early on, to fight them in Syria as the only opposition we should support in Syria. They declared a unilateral ceasefire and peace negotiations with Turkey, who has refused to this date to become involved either in the Syrian conflict or the defeat of the ISIL and other Islamic Jihadists. 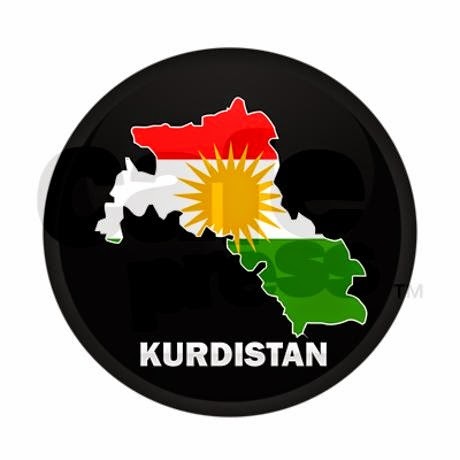 It is the Kurds who stand alone defending embattled Yezidi, Christians, Sufis, and Shia minorities. The Yezidi in particular feel strongly about their autonomy in any post ISIL situation, which would only occur if we were to recognize Kurdistan and make that a condition or recognition. There is no Iraq it is a failed country now, a century after its creation by the British after WWI. There is Kurdistan and the rest of Iraq. In effect in the last twenty years, Kurdistan has come into existence as a political, geographical, historical, economic and military fact. After the invasion of Iraq by the US this became even more evident in post Saddam Iraq as the Kurds controlled the North of the country where there is oil. The Shia and some Christians, and Sufi's in the South also have control of oil there. It is the Kurds in Syria who are our natural Canadian ally, they are pluralistic, secular, social democratic, feminist, and fit Canadian valuesmore than any other group in the region. Here is the third way, a way to effectively change the military political geographical and historic conditions in the Middle East, recognize or begin talks to recognize Kurdistan with the Kurds, to settle Kurdish and especially Yezidi refugees, to provide military aid as well as humanitarian aid to the joint armed forces of Kurdistan, the Pershmarga. No one has made this an issue. Because of Turkey and its influence in NATO and hoped for entry into the EU, but that impacts us little we can afforded to make this effort because we are removed from those impediments. I urge you to please consider that great debate tactic we see so little of in these Yes No debates, the alternative affirmative. Yes we will support a humanitarian and limited mission to aid the Pershmarga specifically, the Kurds in general and begin Canadian government talks to recognize Kurdistan by giving it limited diplomatic recognition in order to show our seriousness, and to taketheir issue for independence and recognition to the UN, and other world forums during this discussion of Iraq and Syria, because NO ONE else will. I have advocated this for the past year in social media, it is at this late hour as we prepare for war that I write you to consider this seriously. It is unexpected, it is a win win for Canada and Kurdistan, it is historic to be the first country to recognize the Kurdish State which is doing its best to defeat the Islamic State in the Levant. Thank you for taking the time to get in touch regarding Canada's role in Iraq. As you know, just four weeks after deploying Canadian Special Forces to Iraq—with no debate or vote in Parliament—Stephen Harper and his Conservative government are seeking to approve a major escalation of Canada's involvement in that war, with no clear end date. - What are this mission's objectives and how do we define success? - What rules of engagement are in place to prevent civilian causalities? - How much will this mission cost? - How many years are we willing to be embroiled in Iraq? - How can we effectively contain ISIS without deploying substantial ground forces or expanding into Syria? - What is our exit strategy? - Do we have a plan to take care of our veterans after we leave Iraq? These are not hypothetical questions. Like Iraq, Canada's mission in Afghanistan began with only a handful of Special Forces. In the end, more than 40,000 Canadian soldiers served there over 12 long years—160 would never return home, more than 1,000 were wounded, and thousands more still suffer from PTSD. Watch my speech here http://tinyurl.com/mk9k8fs to hear more about why the NDP can't support this combat mission. When George W. Bush gave his now infamous "Mission Accomplished” speech less than two months after his initial invasion, he arrogantly proclaimed that major combat operations in Iraq had ended. But tragically, this was only the beginning of a horrific sectarian insurgency that laid the groundwork for the crisis we see today. Everyone agrees that ISIS' brutal actions utterly shock the conscience, but the lessons of the past decade must not go unheeded in our response to such an evil. Simply put: there is no reason to believe that six months of aerial bombardment will succeed where more than ten years of occupation by the world's largest and most sophisticated military failed. Mr. Harper insists that this war will not be allowed to become a "quagmire,” but his reassurance is cold comfort given that this is precisely what we've seen in Iraq since the fall of Baghdad in April 2003. The Conservative government's own Foreign Affairs Minister—in a moment of uncharacteristic candor—acknowledged that there are "no quick fixes” in Iraq. He called the fight against ISIS, and groups like it, the struggle of a "generation.” Indeed, that may well turn out to be an understatement. Terrorist organizations have thrived in Iraq and Syria precisely because those countries lack stable, legitimate governments capable of maintaining peace and security within their own borders. Canada's first contribution should be to leverage every diplomatic, humanitarian, and financial resource at our disposal to strengthen political institutions in both those countries and to respond to the overwhelming human tragedy unfolding on the ground. The struggle against ISIS won't end with yet another Western-led military intervention in Iraq and Syria. It will end by helping the people of Iraq and Syria build the political, institutional, and security capabilities they need to achieve lasting peace themselves. With the credibility Canada gained by rejecting the catastrophic 2003 invasion of Iraq, we are well-positioned to take a lead in this initiative and we should not squander that opportunity. Again, thank you for your message on this important issue.